The aforementioned more or less delineates the official biography of a public and political figure, but behind the meager words, there is a completely normal person — Safinar’s husband, father and grandfather. Often, the human side of public and political figures remains in the shadows, and yet in that personal life there are both joys and sorrows. Deported from the Crimea in 1944, Mustafa is again an exile today. 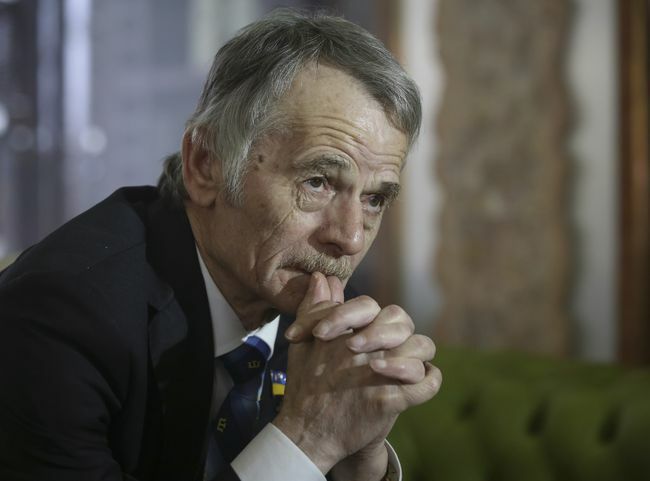 The hypocritical occupational Russian authorities declared Dzhemilev persona non-grata, thereby closing up the possibility for him even to visit the Motherland. The ban on entry to Russia, which, violating all international norms annexed Crimea, also deprived the rights of the Dzhemilevs family to live together. I am sure that the Russian Empire is not eternal, that the hour is not far away when Russian invaders will have to liberate not only the Crimea, but also other enslaved territories, but today our hearts are bleeding and the tears of orphans and mothers of victims of anti-human invaders are as bitter as in the years of deportations. For more than half a century my friendship with Mustafa binds us, and today I raise a glass for his health and wish both my friend and the entire Crimean Tatar people the speedy liberation of the Crimea and the restoration of autonomy in Ukraine. In conclusion, I want to add that Mustafa undoubtedly deserves state honors and awards, but neve-the-less even without official awards Mustafa Abdul-Jamil Dzhemilev is a hero not only of the Crimean Tatar and Ukrainian people, but also of all of Humanity.